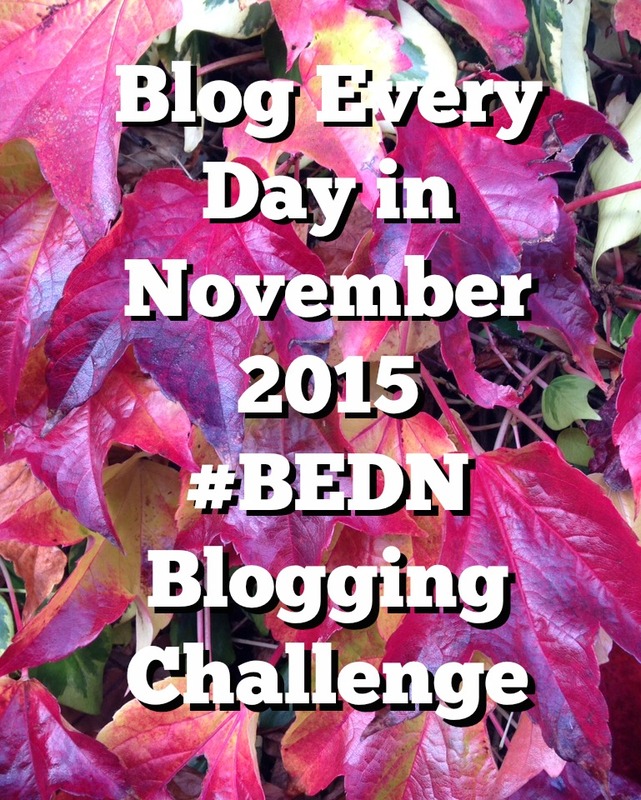 Blog Every Day in November #BEDN 2015. This blogging challenge is to encourage the participates to focus on blogging every day in November. I wanted to join this blogging challenge to motivate myself to publish more blog posts this month. I have several family/photo linkups that I constantly do every month but I have many other blog posts ideas that I just can't seem to finalise. In the last 9 months of blogging, I have taken hundreds of photos in preparation of blog posts about crafting, UK travel, cooking/baking and other ideas been struggle to publish the blog posts. It could be partly because I find it challenging to create blog posts "perfect" for publication but mostly it because I have two children that make to hard to focus on blogging for about 80% of my day. I love being a mother (most of the time) but by the time the children are sleeping soundly in the evening, I am so tired that I really just want a cup of hot tea and my brain is falling asleep. I have recently decided to finish my contract running a local Mums in the Know site to focus more on this blog and my family. In the future, I hope to work with Mums in the Know on some blogging projects. re-launch my Etsy business, and focus of finding new exciting professional projects. November is going to be a fun month as I start preparing for my favourite time of year (aka Christmas) and work with some bloggers on collaboration projects. The beginning of this month, I have joined Anna from Anna in Wonderland to co-host a giveaway of Limited Edition: Selfridges 2015 Beauty Advent Calendar (Ends 17th November 2015). I am also working on writing blog posts for the #12daysofparenting collaboration project that involves over 60 UK Parent Bloggers that will happen from December 13th - December 24th. I hope this month to share some of favourite craft projects including knitting with an ice cream tub, my no-sew Christmas ornaments, some of my favourite Thanksgiving recipes, share family adventures, and some gift ideas for Christmas. We are working of creating some new videos for our LadyBug Home YouTube Channel.